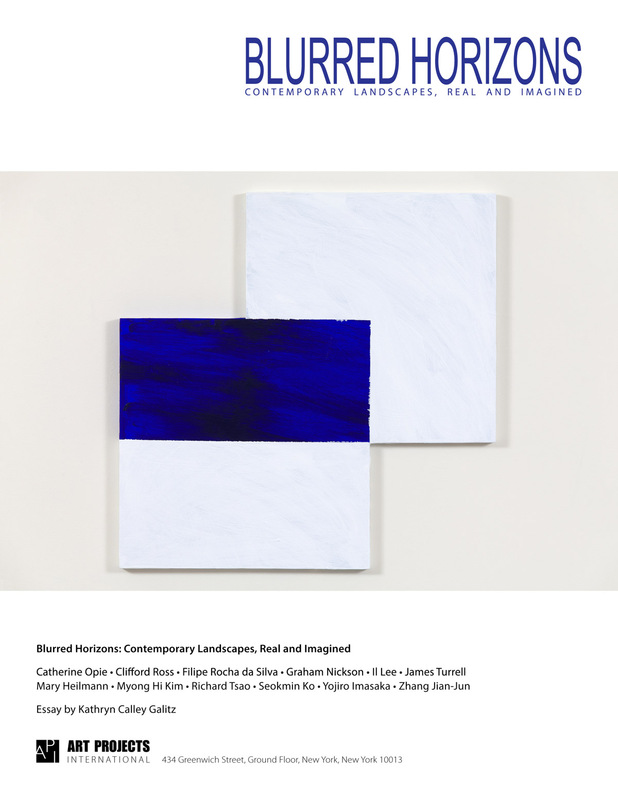 Exhibition brochure, published in conjunction with BLURRED HORIZONS: Contemporary Landscapes, Real and Imagined at Art Projects International in New York from January 18 – March 31, 2018. Artists: Catherine Opie, Clifford Ross, Filipe Rocha da Silva, Graham Nickson, Il Lee, James Turrell, Mary Heilmann, Myong Hi Kim, Richard Tsao, Seokmin Ko, Yojiro Imasaka and Zhang Jian-Jun. Essay by Kathryn Calley Galitz.